Kerry Werner's 2018 is off to a winning start as he sweeps Virginia weekend. Anthony follows up second-place finish with a win Sunday. 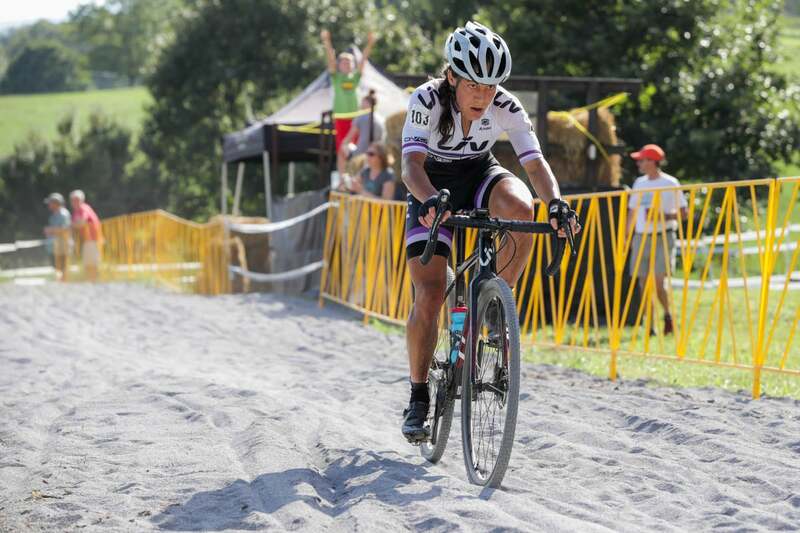 On a hot, humid Sunday of racing, Kerry Werner (Kona) won the elite men’s race at Deschutes GO Cross, sweeping the weekend, while Crystal Anthony (Liv) took her first victory of the fall in the women’s race. 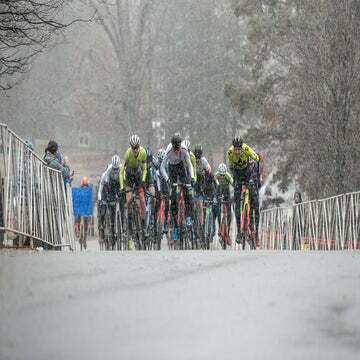 Werner was second in the 2017 ProCX standings, and he is off to a strong start with his pair of wins in Fallon Park, Virginia to kick off the 2018 season. He took his second victory despite a crash on the first lap of the race. 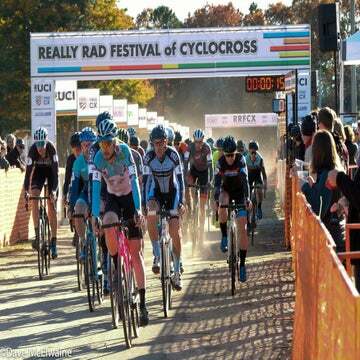 After straightening his handlebars, Werner chased his way back onto the lead group which included Eric Thompson (Speed Wax), Tobin Ortenblad (Santa Cruz-Donkey Label Racing), Tristan Cowie (CTS Cycling Team), Troy Wells (Team Clif Bar), and Cody Kaiser (LangeTwins-Specialized). “Got hip-checked out there after the stairs, a very flagrant move and I was just immediately on the ground, wheels out from under me. The bike was tangled in the tape. Luckily, it happened first lap. Those guys at the front, I don’t know if they waited or were just playing games and nobody wanted to go so I was able to slowly crawl back into the lead but then I sat on for the majority of the race, that hurt me quite a bit,” said Werner. With five laps to go, Ortenblad, winner of the 2017 ProCX calendar, made his first attack of the race. Next, Wells put pressure on the front group, setting a high pace for a lap. With three laps to go, combined attacks by Werner and Ortenblad shattered the lead group. Only Wells was able to catch back on to the duo after a half-lap of chasing. Ortenblad set the pace on the bell lap with Werner, Wells, and Kaiser on his wheel. Kaiser was dropped first. Then Wells got popped when Ortenblad made his move with a quarter lap to go. “I’m satisfied with it [the weekend results]. It’s hard not to be satisfied with two podiums but coming off the momentum last year and wearing number one, I hadn’t lost wearing number one until this weekend so that sucked,” said Ortenblad who finished second. Wells held on for third place. In dry and dusty conditions, Anthony’s first win of 2018 followed up her second-place result on Saturday. She went right to the front on the first lap taking over the pace-making from Allison Arensman who took the holeshot. A group of seven riders which included Anthony, Caroline Mani (Van Dessel), Rebecca Fahringer (Kona), Sunny Gilbert (Van Dessel), Caroline Nolan (Voler-Clif-Rock Lobster), and Carla Williams (Deschutes Brewery) separated from the field after one lap of racing. “I was at the front and the race never blew up that much, the gaps were pretty small. You were like one watt away from cracking, because it was so hot. It was about balancing being aggressive with riding within yourself,” said Anthony. With three laps to go, Anthony and Gilbert were together at the front with Wiliams, Nolan, Fahringer, and Mani giving chase. Inside of two laps to go, Anthony attacked in the sand, leaving a cloud of dust when Gilbert dismounted to run. “I noticed that Caroline had ridden the sand by us in lap two, and I was like ‘I guess it’s rideable.’ So I knew that was a good spot to get some time. It did open a gap, but it was just seconds [over Gilbert],” said Anthony who was now solo in the lead with Gilbert, Fahringer, and Mani chasing behind her. With a small gap on the bell lap and a chasing Mani, Anthony kept the pressure on to take the victory. “Crystal, she was riding really fast. She gave it all she had to not let me come back. It was a nice chase. She’s an amazing racer. I’m not ashamed of finishing second place behind her. It’s a good weekend,” said Mani who took second. Gilbert held on for third.